Cleaning services for carpets, curtains or upholstery is provided by Magic London Carpet Cleaning in Haverstock (NW3, NW5), serving all the homes and the offices in the Camden area. We use advanced cleaning equipment and eco-friendly detergents to achieve high quality results every time. 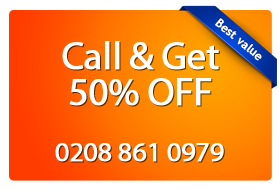 You can call our assistants on 0208 861 0979 for more information and a price quote. As we all know how tiresome is carpet cleaning and sometimes after all effort done stains so not go away easily. There are different cleaning services in market that use toxic chemicals for washing it, but Magic London Carpet Cleaning in Haverstock (NW3, NW5) uses high powered steam cleaning techniques that helps maintaining fine quality of the fabrics used, while that is simplified by using shampoo. Magic Carpet Cleaning services had trained its executives who are able to identify the type cleaning required and also recognize what chemical should be used on what kind of fabrics since all these are required that gives a long lasting effect. They are approved as certified technicians after certification training provided by the company which ensures of quality work that makes a carpet go stainless. You can find us on 0208 861 0979. Our customer support lines are always open for your convenience. You can ask everything about our carpet, rug, and upholstery cleaning services. Also you will get a free price quote. Use our on-line booking form as well.